This project was inspired by the Chinese calendar - 2018 being the year of the Dog! The word Play came to mind as Melissa's affirmation card for this word has her puppies parents on it. "Be fun loving. Enjoy the simple things. Smile. Relax. Play." Daily Affirmation Cards and Booklet by Melissa Reyes. 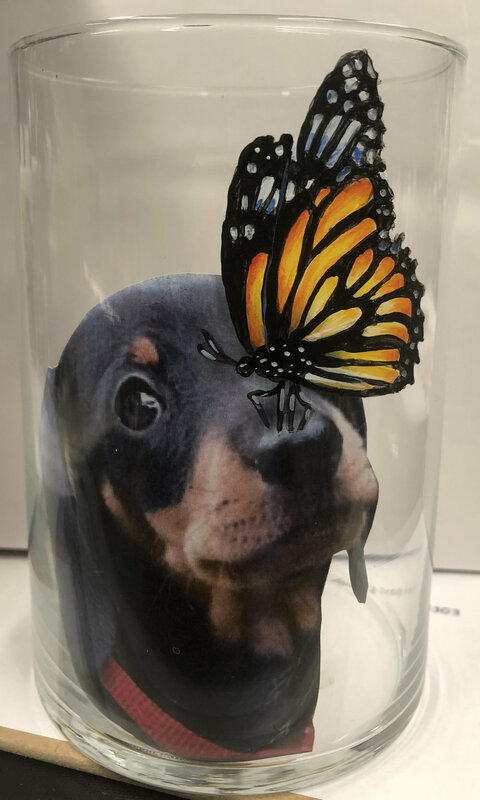 Make this treat container personal to you with a copy of a photo of your furry friend. Please email me a Digital copy.